After conducting mobile network tests in the Netherlands in 2015 and 2016, the network testing professionals of P3 communications and connect have examined the Dutch mobile networks for the third time. As all four operators showed excellent results in the previous tests, the race is all the more exciting in 2017. How did the four candidates perform? P3 and connect have conducted a mobile network test in the Netherlands for the fourth time. How did the recent mergers and acquisitions affect the traditionally powerful Dutch networks in 2018? P3 communications GmbH, based in Aachen, Germany, is a world leader in mobile network testing. It is part of the P3 group, with over 3,500 employees worldwide and a turnover of more than 350 million Euros. P3 is partnering with the international telecommunications magazine connect, which has more than 20 years of editorial expertise and is one of the leading test authorities in Europe for telecommunications products and services. Together, P3 and connect have been conducting the most important network benchmark test in Germany for 15 years, extending it to Austria and Switzerland in 2009 and to other countries in the following years. Currently, we are publishing public benchmarks in eight countries. In the Netherlands, the P3 connect Mobile Benchmark has been conducted since 2015. In 2017 alone, P3 compiled more than 60,000 measurement hours in 70 countries across five continents, with its test vehicles covering almost one million kilometres. As the de-facto industry standard, the P3 benchmarking methodology focuses on customer-perceived network quality. P3‘s network benchmarks are widely accepted as a completely objective authority. In 2017, the test winner T-Mobile received the grade “outstanding“, and the three other candidates were evaluated as “very good“. The results clearly reflected the high performance level of the mobile networks in the Netherlands. 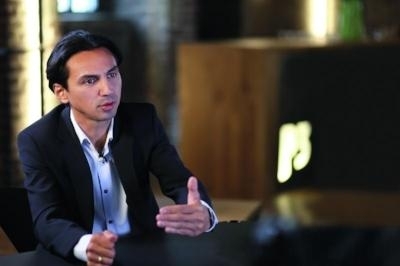 Since then, the joint venture of Vodafone and Ziggo has advanced, T-Mobile announced to acquire Tele2. Also, all four Dutch operators support carrier aggregation (“4G+“) as well as Voice over LTE (VoLTE) in their networks. So, the testing team was curious how these changes had affected the 2018 results. Coming from strong results in the 2016 P3 connect Mobile Benchmark in the Netherlands, the Dutch operators were able to maintain their impressive results in 2017. However, we observed some interesting changes too. P3‘s network benchmarks are widely accepted for setting industry standards as well as being highly objective. The carefully designed methodology scheduled four drive-test cars to visit 17 large cities and 19 smaller towns in the Netherlands as well as the connecting roads. The areas in which we tested accounted for more than 5.1 million people, or about 30 per cent of the Dutch population. All four Dutch operators achieved very good results with more than 900 out of a possible total of 1000 points. The overall winner is T-Mobile, surpassing even the 950 points threshold and thus receiving the rare grade „outstanding“. The test winner shows convincing results both in the data and in the voice category. The latter is especially remarkable, as T-Mobile was the only Dutch operator at the time of testing that did not yet support the modern Voice over LTE (VoLTE) technology. With a considerable improvement in its voice performance over the 2016 result, Vodafone ranks second and is able to outrank the market leader KPN. In the data category, Vodafone performed a little behind KPN. However on the whole, the differences between the competitors are small. KPN, which ranked second in 2016, is beaten by Vodafone with a gap of only one point and ranks third. The Dutch market leader already offers VoLTE, however at the time of testing did not yet support this feature on the Samsung S7 phones that were used for this benchmark. So the voice results of KPN are based on legacy telephony. Apart from long call setup times, KPN achieves very good voice results and also delivers a very good data performance. The Netherlands‘ smallest operator Tele2 ranks last, but still with very competitive results. A distinct loss of points in the voice category might be explained by the disadvantageous effects of national roaming for voice services on the T-Mobile network. The Dutch mobile network market is characterised by distinct competition and a generally high level of performance. The smallest operator Tele2 cooperates with T-Mobile for 2G/3G voice but made clear progress in its LTE deployment. The Koninklijke PTT Nederland N.V. emerged from the privatisation of the formerly state-owned PTT in 1998. With about 8 million mobile customers, KPN claims to have a market share of 44 per cent in the Netherlands at the end of 2016. With these numbers, the company is by far the largest Dutch mobile operator. For 2016, the company reported a total revenue of 6.8 billion Euros.The company focuses on marketing its KPN brand, however with Simyo, Telfort and Ortel it also has offerings in the “no-frills“ segment. theoretical maximum speed of its LTE network is 300 Mbit/s. KPN markets this configuration as “4G+“. Otherwise, the top LTE speed is at 150 Mbit/s. Vodafone Libertel B.V., the Dutch subsidiary of the international Vodafone Group acquired the formerly independent operator Libertel in 2003. Today, Vodafone is the second largest mobile operator in the Netherlands with around 5.2 million mobile cus­to­mers corresponding to a mobile market share of about 29 per cent. In February 2016, Vodafone Netherlands announced a merger with the cable and fibre operator Ziggo previously owned by Liberty Global. The company now operates under the name VodafoneZiggo. As regulatory conditions required Vodafone to separate its former fixed-line business, this entity then became „T-Mobile Thuis“. Vodafone‘s mobile revenues for the 2016/2017 fiscal year were still due at the time of writing. T-Mobile’s 4G+ network offers a maximum speed of 262.5 MBit/s. The Swedish telecommunications operator Tele2 acquired the former Versatel N.V. in 2005. The resulting Tele2 Netherlands Holding N.V. is a 75 per cent subsidiary of its Swedish parent company. Originally acting as a MVNO (mobile virtual network operator), Tele2 nowadays operates its own infrastructure and has a portfolio of fixed telephony, data, internet and mobile telephony products. At the end of 2016 Tele2 reported about 1 million mobile subscribers which equals a Dutch market share of roughly 6 per cent. Tele2 operates its own LTE network at 800 and 2600 MHz. After considerable ­efforts to increase coverage, ­Tele2 now provides a 4G network to large parts of the country, with some gaps especially in the west and south. The operator even offers carrier aggrega­tion with up to 225 MBit/s at some locations. As the company had to pay lower license fees for its 4G spectrum than its competitors, it can offer aggressive prices. Tele2 cooperates with T-Mobile NL by location sharing as well as national roaming for voice services.